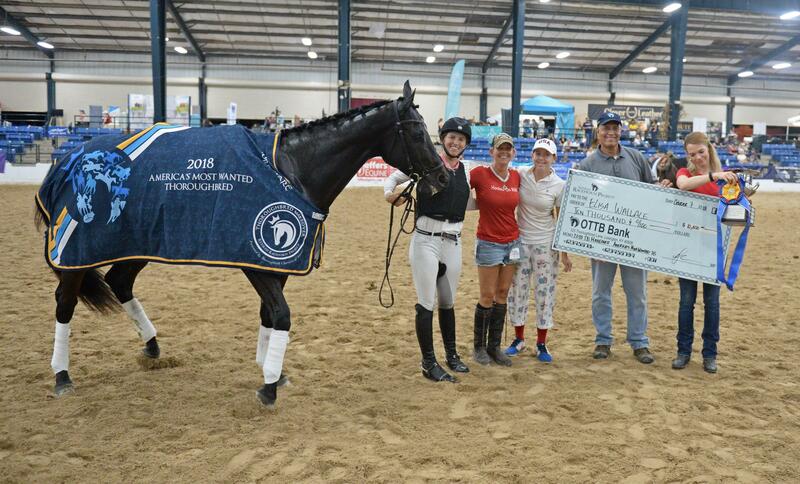 The Retired Racehorse Project announced trainer acceptances last week for the 2019 Thoroughbred Makeover and Symposium, presented by Thoroughbred Charities of America. Becoming an increasingly-popular event for off-track Thoroughbred lovers and often a gateway goal for first-time OTTB owners, the Makeover is in its fifth year in its current format and location. A total of 673 trainers and teams were accepted to compete October 2-5, 2019 at the Kentucky Horse Park. Trainers come from 44 states and four Canadian provinces, representing professionals, amateurs, juniors and a new team entry format. For initial application, trainers selected a primary discipline in which they had the most experience, though they’re not locked into entering this discipline for October. Eventing and show hunter are the most popular disciplines heading into the 2019 training period; a total of ten disciplines are represented at the Makeover including barrel racing, competitive trail, dressage, eventing, freestyle, field hunter, polo, show hunter, show jumper, and ranch work. Several big names will be participating in this year’s Makeover: world champion colt starter Dan James of Double Dan Horsemanship, world champion barrel racer Fallon Taylor, two-time Breeders’ Cup-winning jockey Rosie Napravnik (now an eventer) and many more. Elisa Wallace is also returning to defend her title! Trainers don’t need to have selected their Makeover horses yet; in fact, some may not acquire their horses yet for several months. Others are well on their way in training already. Trainers will take to social media to share their progress; check out the #TBMakeover hashtag to follow along. We’re also planning to line up some bloggers across all three Nation Media sites, so keep an eye out for those as well! Find the full list of trainers at the Makeover website and follow their journeys!